The Jose Antonio Executive Hotel is located in the district of Miraflores, in downtown Lima, 3 blocks from the beach Makaha. Is in a unique commercial and residential district, within walking distance of shops, businesses and cultural areas. Every room in the José Antonio are equipped with bathroom, cable TV and DVD player. 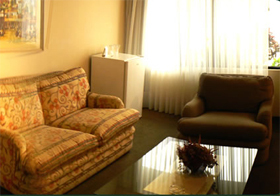 The Jose Antonio Executive rooms offer wireless internet access and air conditioning. Parking, Restaurant, Bar, 24, Non-Smoking Rooms, Free Parking. Room Service, Shuttle Service to / from the airport, Business Centre, Laundry, Internet Services, Gift Shop / Souvenirs, Shoe Shine, Car Rental, Wi-Fi/Wireless LAN, Wi-Fi Internet Access Included. Free private parking at the hotel. Need to book .. The Jose Antonio Executive Hotel restaurant offers a wide variety of local and international dishes. There are several restaurants near the hotel. 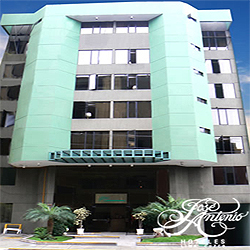 Jose Antonio Hotels began 18 years ago with the opening of its first hotel in the city of Lima. In Lima and Cusco you will find a first class service all the facilities for your vacation or business travel and hospitality that has always distinguished our people. The mission of our company is reflected not only in our service philosophy, but also to provide our guests with hotel rooms really comfortable and very functional, up to the demands of today's traveler.